It’s the week before Book Week and we’re getting to know the 28 touring authors, illustrators and storytellers better before they travel to 175 communities across Canada. You can read part one here. Do you have a touring creator coming to your community? Get to know them beforehand with these interviews. Alice Kuipers is the author of several books for teens, including Life on the Refrigerator Door, The Worst Thing She Ever Did, 40 Things I Want to Tell You and Me and Me. She has written two picture books, Violet and Victor write the Best-Ever Bookworm Book, and Violet and Victor Write the Most Fabulous Fairy Tale and has a new series for middle grade readers that begins with Polly Diamond and the Magic Book. Born and raised in London, England, Alice now lives in Saskatoon, Canada, with her partner, the writer Yann Martel, and their four young children. Her work is published in 34 countries. Everything I learned about writing, I learned through reading. My advice is to read anything you can. Read books you love in the style you adore, then try books that you think look boring. Read shampoo bottles and blogs and cereal packets and novels and non-fiction and poetry. And then, if you feel like writing, take your words and place them on the page. If other people don’t like your words that’s okay. If you think your ideas are silly, then that’s okay too. Just keep writing. I have a free course for young writers that launches on May 1st if you want more help from me and on my website I have lots of tips for anyone who wants to write. I try to be as helpful as possible because I remember wanting to ‘be’ a writer, but not really having any idea how to do it. I have a Kindle, which is cheating, but it means that I travel with a hundred books at least. I can flip from Ice Ghosts about the Franklin expedition, to Arthur Slade’s newest novel Crimson, to writing advice from Ursula K. Le Guin. I love to travel, and when I was eighteen I travelled around the world on my own and discovered that there was absolutely nothing I truly needed. I could replace stuff if I lost it, or I could just get by with far less stuff than I was used to. But I do love to write and so during my Bookweek tour, I plan to get some writing done. I’ll need a pen and paper, or my laptop, for that. I’m always nervous walking into a room full of people waiting for me to say something interesting or entertaining or illuminating. The author Marty Chan talked once about speaking for one kid, rather than worrying about trying to please everyone. So, when I plan my presentations, I think about a kid who might be a bit shy, one who maybe secretly wants to write their own stories down, and I try to aim my presentations to that one person. Then I feel less nervous. I also imagine that I’m talking to my parrot when I’m talking—I used to have a pet parrot and I would practice public speaking to the parrot in an otherwise empty room. That is as ridiculous as it sounds. But it makes me feel way less nervous. It’s hard to feel too anxious when you have a parrot in your head. As for what I’m looking forward to? All of it! The travelling, seeing new places, meeting new people, and hopefully inspiring kids to get excited about writing and reading! I’m a pretty good cook. I took a cooking class this winter and I’ve been dreaming of doing that for years. I spend at least an hour every day (more like two) cooking for my kids and the various other people who come to our house. I bake muffins nearly every day, as advised by a mother of three who inspired me, and I menu plan on Sundays to stay ahead of the week. If I look like I’m having a big and deep thought, I’m probably thinking about food! I loved to write when I was younger, but it never seemed realistic to actually be a writer. Even answering this question now, I still can’t believe that’s my actual job. When I was eighteen and travelling, I began my first long (ish) novel. I’d written stories and poems before that. And I’d written a novel when I was eleven, but it was only about forty pages long. As I wrote that book when I was eighteen, I fell in love with writing even more. So, I kept writing, stories, novels, (yes, lots of novels), and then, after a lot of writing, I looked back over all my unpublished pages and realised that something was missing. In all of those words I had written, I hadn’t managed to write a story, and I needed to figure out what a story even really was. 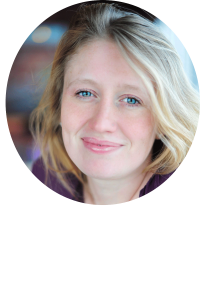 Find out more about Alice Kuipers at her official website or through the Book Week website here. Scottish-born and mystery-minded, Melanie Jackson is the author of children’s and young-adult suspensers published by Orca Books. Also a business writer/editor, Melanie has an Honours BA from the University of Toronto and a Master’s in Journalism from the University of Western Ontario. Melanie is a member of the Vancouver Sun’s Book Club, whose discussions about current novels appear in print and online. As well, she moderates the University of Toronto Alumni, Vancouver Branch, Book Club. Melanie volunteers as a creative writing mentor with the Vancouver School Board. 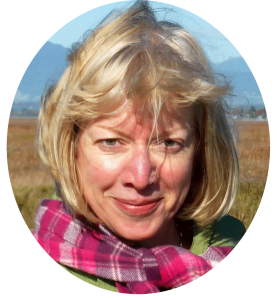 She is a member of the Children’s Writers and Illustrators of BC, and of The Writers’ Union of Canada. Read a lot! The more you read, the more you absorb the ease of writing; the more you develop your own style. Becoming comfortable at writing is like learning another language. Instead of different vocabulary, though, you’re learning to think in different narrative styles, e.g., fiction and nonfiction, humour, suspense, character traits and dialogue. My other advice is to set aside a certain amount of time every day to write (or draw, or practice piano or whatever your creative preference is). Even better, write at the same time every day so that it becomes a habit. A highlight of my life occurred in the wilds of the Florida Everglades. In February 2016, my husband, I and a guide kayaked for four hours through mangrove swamps. The passageways are so narrow that, to make progress, you have to shove your paddle against tree trunks and mud as much as stroke them through the water. All around you, in the ancient branches bending and tangling in shadow and sunlight, you can see pretty much whatever your imagination tells you is there: snakes or herons or ghosts from your past. It’s very quiet, mysterious and contemplative. And surprisingly not frightening, even though you know that what seem to be flat gray rocks on the surface of the water are really alligators. The gators are minding their own business, sunning after a large meal—not, at least that we heard, of tourists. The challenge is not to panic when you get into your kayak. We heard that the day before, a man did and immediately capsized. No, no. Go into the ’glades and find your inner calm. I did, and as a result of that experience I wanted to recapture the animals I’d seen there and see around me every day in Vancouver. I went to a drawing class and have been filling up sketchbooks ever since. Books have been among my best friends starting when I was very young. I remember my mom reading aloud to me. I still remember being really angry at Cinderella’s mean stepsisters! If you start early with a love of reading, there just aren’t enough stories for you–inevitably you start inventing ones of your own. As well, you start thinking how you might have done things differently in some stories had you been the writer. That’s when you definitely know it isn’t enough for you to read books. You have to write your own, too. For a long time, I wrote autobiographical stories, e.g., about a summer I spent in Nice, France, and all the people I met and ridiculous situations I got into. Later, because of my interest in people and things around me, I became a reporter. I was living in Winnipeg when an editor assigned me to do a story on popular summer reading for kids who’d just got out of school. I interviewed a librarian, who lent me a bunch of books to read and write about in my story. I found identified with the voice, that is, the perspective, in many of the books: a wry outlook; vulnerable but attempting to cover up that vulnerability by acting tough and wisecracking; curious about the big, wide world and in exploring what’s around the next corner. I started writing my own kids’ stories, adapting that kind of voice to become my protagonists’. At first I wrote for fun. My husband started urging me to submit the stories to publishers. Four years after I started submitting, Orca Publishers accepted a manuscript, The Spy in the Alley. I had several, notably Little Women and Swallows and Amazons. In the first, I found not only Jo the writer inspiring, but also Amy the artist. I’ve been getting back into drawing in recent months, and have been remembering Amy and her sketches. Both Jo and Amy have a creative passion and are devoted to it. The other two sisters are nice, but maybe too nice; not so interesting. Swallows and Amazons I liked because the kids are pretty much on their own on an island in the Lake District, with no pesky adults to interfere with their adventures. I still remember the heart-stopping excitement I felt in reading about their sailing, camping, pretending to be pirates and so on. Yet you never feel they are in actual danger––it is more a matter of enjoying how they outwit each other. Rudyard Kipling’s story Rikki-Tikki-Tavi stays with me to this day as inspiration. It’s the one about the mongoose who takes on cobras. Rikki is brave and clever, but he never stops singing and dancing for long. Not a bad way to face up to life’s challenges. Problem-solving. In each of my books, my protagonist has to solve a problem––a mystery––and part of doing that is overcoming a fear or a weakness or a failure to understand others. The great joy and challenge of life is to keep discovering. Take the risk; peek around that next corner and see what you find; learn from it! It’s my hope that students will enjoy and learn from both the adventurous and the moral journeys my characters make. In Medusa’s Scream, Chase comes to care about what happens to a stray cat. At the amusement ride where he works, Chase also befriends and helps a seemingly weird co-worker, Lars. Allusions to history and mythology. Being Scottish-born, I love the story of Bonnie Prince Charlie and his 1745 rebellion. I knew that the silver shield Charlie carried into battle had an angry Medusa emblazoned on it. So, I incorporated both the dashing prince and the snaky-haired creature into a mystery at an amusement ride, a train that zooms through a converted old gold mine. The train’s whistle is so piercing it sounds like a scream. (Though is it just the train that screams?) With this setting, I was also able to include some history of the Fraser Valley, B.C. Gold Rush, as that’s where the old gold mine is set. A protagonist who goes against stereotypes. My protagonist, Chase, is a boy who likes to cook! After his mom dies, Chase takes on making dinners for his dad and himself. What easier way to include all the Canada Food Guide requirements––vegetables, grains, protein––than baking them all under one roof? That is, one crust. Chase becomes a savory piemaker. In this story, he gets to sell his pies at an amusement ride. Needless to say, adventure spices up his summer job. If kids are interested in cooking, they might follow along with Chase as he tries out culinary experiments. Maybe he could be their Jamie Oliver. Chase’s motto is probably one Jamie wouldn’t approve of: any mistake can be rectified with ketchup. 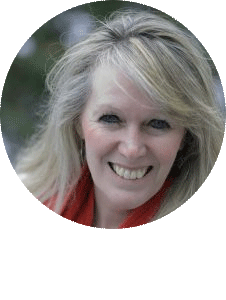 Find out more about Melanie Jackson at her official website or through the Book Week website here. Marina Cohen was born and raised in Scarborough, Ontario where she spent far too much time asking herself What if? Ever since she can remember, she has loved a good fright whether it arrive in the form of a story, a movie, a thrill ride, or a disembodied whisper in a cold dark room. Horror, mystery, Sci-fi, and fantasy draw her like a moth to a flame. She loves old castles, dusty books, hot cocoa, thunderstorms, mysterious doors of all shapes and sizes, and for some reason she has developed a rather unhealthy obsession with gingerbread. My best advice to young aspiring writers is simple: Read. Read for sheer pleasure and enjoyment. Lose yourself in another world. But when it’s time to come back, examine the work. Figure out what you loved about the book and try to figure out how the author achieved this. For me, all travels must include two things: a creepy book (I’ve been saving Pitch Dark by friend Courtney Alameda for this particular trip), and my hair straightener. Without it, my hair would be truly scary. I’m most excited to see the gorgeous Alberta landscape and meet all the awesome librarians, teachers, and students! I’m a bit nervous about the beechcraft…enough said! I’ve never been a very good speller. Sometimes even spellcheck has difficulty deciphering my code. I began writing seriously about 16 years ago. It was a long and perilous journey toward publication, a road full of obstacles and paved with tears. I’m not sure why I gravitate toward middle-grade books, but the voice and stories that come out of me just seem to turn out that way. I’m inspired by the world around me—by unexplained mysteries and by science, by the vastness of space and the great unknown, by my family, friends, and other writers. Plus old castles, small doorways, and thunderstorms. I’m not sure I had a favourite book as much as a favourite author. I loved Edgar Allan Poe, mostly because I delighted in the dark and creepy and he certainly could dish out his fair share of shivers. Teachers might use my books in literature circles, for groups of students who, like me, enjoy creepy tales. Both, The Inn Between and The Doll’s Eye might be used to demonstrate the structure of a story within a story. Using my novels, readers can make all sorts of connections, for example to fairy tales, legends, and mythology. It’s my hope the messages in my novels are worth further exploration and my endings often leave a tiny doorway open for readers ponder and to imagine (or write, or draw) what happens next. Find out more about Marina Cohen at her official website or through the Book Week website here. 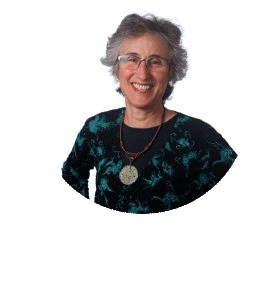 Shoshana Litman tells lively stories filled with wisdom expressed in dramatic and engaging ways. Her stories and songs, drawn from Jewish and world sources as well as her vivid imagination, have inspired diverse audiences since 1997. Shoshana completed a two year study program with Maggid Yitzhak Buxbaum of Brooklyn, which lead to her ordination as a Maggidah, a Jewish storyteller, speaker and teacher, in May 2008. She was also an administrator for the Mussar Institute of Vancouver for several years. Keep creating and don’t let your own or other people’s doubts get in your way. For adults, I told a short poem I wrote that had lots of vivid imagery in it to members of the Victoria Storytellers Guild. For children, I started by reading stories to my own kids when they were young, speaking with lots of feeling so they could imagine each scene, which created a wonderful language rich experience we all enjoyed. Sometimes I put the books aside to tell them stories by heart. Pooky, a story about a flying rabbit. I loved the vivid illustrations and the idea that it is OK to be different. Also, I’ve always wanted to fly without an airplane so it was fun to do so in my imagination with Pooky! My hands have done a little downsizing. Three fingers, two on the left and one on the right, stayed the size they were when I was a child. When I get too adult for my own good, I can think of my child sized fingers which somehow makes the world a little brighter. Tell your favorite stories to your students with enthusiasm and encourage them to share theirs. 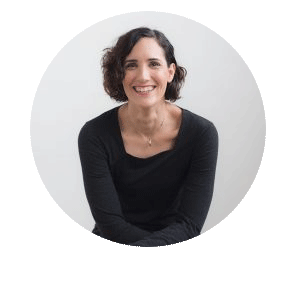 Find out more about Shoshana Litman at her official website or through the Book Week website here. Carey Sookocheff is an illustrator and an author. She has written two picture books and illustrated six more. Her illustrations have also appeared in a variety of newspapers and magazines, including The Wall Street Journal and Real Simple Magazine. She lives in Toronto with my family and their dog Rosie. My mother was a librarian and, as kids, my brother and I were never allowed to travel with library books in case they ever got damaged or lost. Apparently old habits die hard, because I bought Seven Fallen Feathers by Tanya Talaga a few months ago and I’ve been saving it for this trip. I’m also bringing my camera. I take a lot of photos when I travel and I imagine that there will be a lot to photograph in Nunavut! I’m really excited to meet all the kids! Kids never fail to surprise me with their questions and ideas. 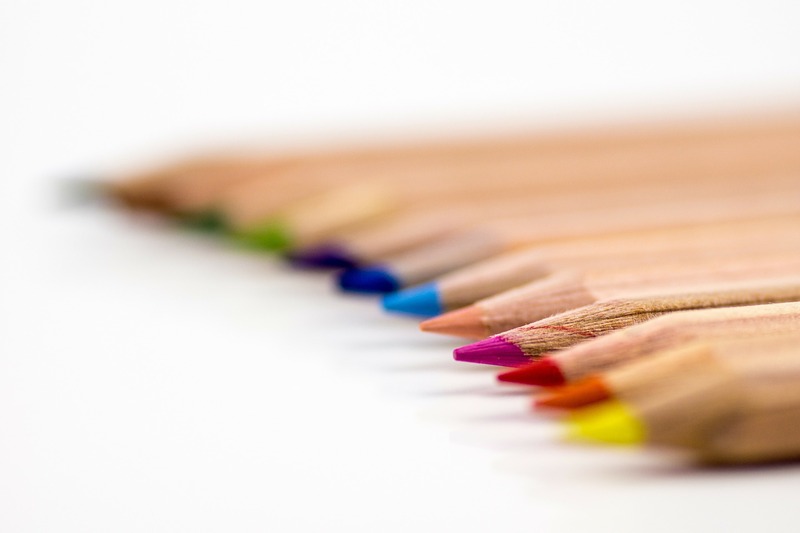 I also believe I will have a chance to visit with an art class at a middle school or high school so I’m looking forward to connecting with some young artists. I’m nervous about the flight from Iqaluit to Pangnirtung – I imagine the plane is going to be small! I played water polo for over 10 years and tried out for the national team. Although in the end I wasn’t selected for the team, I was in the pool almost every day for a number of years. I’m inspired by lots of things – my own children, myself as a child and the weird ideas and thoughts I remember having, and my dog Rosie. I’m also inspired by other artists and illustrators – seeing how they use language and images to tell stories. Seeing what others have done inspires me to try using different materials, try different colour palettes and to stretch myself as an artist. I still have my copy of A Hole is to Dig by Ruth Krauss and illustrated by Maurice Sendak. I think I liked that it was a book full of thoughts. I also still love the tiny, funny illustrations. The first book I ever read myself was Green Eggs and Ham. To celebrate my dad made me green eggs and ham for breakfast the next day, so that book has always felt special to me. Find out more about Carey Sookocheff through her website or through the Book Week website here. Stephanie’s first picture book, The Chicken Cat (Fitzhenry & Whiteside, 2000), won both The Mr. Christie Award and The Ruth Schwartz Award and was a finalist for two others. Leon’s Song (Fitzhenry & Whiteside, 2004) was a finalist for both The Blue Spruce and Chocolate Lily picture book awards. Hoogie in the Middle (a finalist for The Crystal Kite Award) and Tweezle into Everything (Pajama Press, 2013) were followed by The Christmas Wind (Red Deer Press, 2017) which was the subject of a national literacy program widely promoted by CBC radio and local newspapers, and a Top 10 Idea in the 2016 CST Inspired Minds Learning Project Contest, winning $1,500.00 for The Canadian Children’s Book Centre (www.ChristmasWindStoryProject.com). 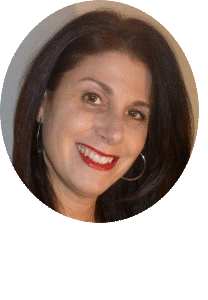 The Director of Marketing for a Coaching and Seminar business by day, Stephanie wrote several scripts for the Gemini nominated children’s television series Roll Play and was a columnist and the children’s book reviewer for Today’s Parent Magazine from 2001-2012. Stephanie will be touring Northwest Territories. By the time I was seven, I knew I wanted to be a writer. Besides writing my own stories and poems as a child, I confiscated all the books in our household and created my own library, complete with little library cards and enforced due dates. If anyone in the house wanted to read anything, they had to come through me first! My first published book was The Chicken Cat which won The Mr. Christie Award and The Ruth Schwartz Award. I initially wrote this story for a writing contest. While I didn’t win, I decided to try submitting it to publishers. Anne Featherstone, editor of Orca Books at the time, didn’t have room on her list for the story, but wrote me a very encouraging letter. I owe my start to Gail Winskill, then editor at Fitzhenry & Whiteside, who pulled my manuscript from the slush pile and made the book happen. Coincidentally, Anne ended up playing a big role in my next three books when she began working alongside Gail. My family is often the jumping off point for my ideas. As wild as it is, The Chicken Cat is a “mostly true” story inspired by real life events in our family when our children were small. The characters of Hoogie, Tweezle and Pumpkin in my more recent books Hoogie in the Middle and Tweezle into Everything, are thinly disguised versions of our three children. However, ideas are everywhere, and many of my story ideas (some published, some in process on my computer) combine seeds from things I’ve seen, read, researched or dreamed about … and then, once I start working on them, they take on a life of their own. That’s a very cool part of the process. I wouldn’t say these were favourites, but I remember reading lots of Trixie Belden and straight through The Twins series by Lucy Fitch Perkins. We also had a Classics Treasury I consumed. A picture book called The Flippits by Margaret Ross (now worn and tattered) given to me as a very young child by my paternal grandparents evokes early reading memories. I would say that the time I really fell in love with children’s books, though, was when we started our own family. Our list of favourites is massive; far too many to list. Maurice Sendak’s Where the Wild Things Are was an important family book. In fact, Sarah, our eldest, has two homemade Max suits. (I had the wonderful opportunity to interview Mr. Sendak for Today’s Parent magazine in June 2011, months before he passed away.) We read lots of Jenny Nimmo, Martin Waddell, Sam McBratney, Ruth Krauss, Cynthia Rylant, Margie Palatini, Kenneth Oppel, JK Rowling, Phyllis Root, Natalie Babbitt, Tim Wynne-Jones, Hazel Hutchins, Ruth Ohi, Sharon Jennings, Jez Alborough, Tony Ross, Jane Yolen, Mem Fox, John Scieszka … this is the tip of the iceberg and barely scratches the surface. An overflow of books litters most rooms of our house. Three young adult writers who inspire me are Markus Zusak, Martine Leavitt and Patrick Ness. I love middle grade and YA. I could give you a very lengthy list of favourites there too. What are you most excited for about Book Week? I’ve never been to this part of Canada and am grateful for the opportunity to visit Northwest Territories. Over the last three years, I worked with over 1,700 students in every province and territory of Canada (and four classes in Melbourne, Australia) through a literacy initiative I conceived to help pre-promote my most recent book, The Christmas Wind (Red Deer Press, Dec 2017). An offshoot of this program were many conversations amongst the students about provinces/territories outside their own. One of the facts I shared with them is the fact that Northwest Territories, with an area of 1.3 million square kilometers, is the third largest province/territory in Canada, and fully 35,000 times as big as the Ontario town I live in (Newmarket, Ontario). Despite this, my small town has almost double the population of the entire Northwest Territories – 84k people vs. 45k people. I’m looking forward to experiencing this “space”. I was fortunate to have had the opportunity to tour Labrador for TD Book week four years ago and fell in love with that vast landscape and the people I met. I’m looking forward to another great adventure in Northwest Territories. I love presenting to students, not only to share my books but to encourage them to find and write their own stories, and my only regret is that I won’t have the opportunity to meet the students I worked “virtually” with in Tuktoyaktuk. I’ve been in touch with Janine Hoff, the librarian who is coordinating the tour for me, and her enthusiasm has doubled my own. We’ll be driving some pretty good distances together in a Ford F150 4×4 to get to the different schools, so I’ll get to experience the vastness firsthand. If the timing is right, some of the rivers may be “breaking up” during my visit which would be very cool to see/hear. Bison are also said to roam the streets of Fort Providence. I hope I get to see that! While not terribly original, my advice for young writers is to: a) read … a LOT; b) pay attention to everything because stories are everywhere; c) take every opportunity to learn what you don’t know; d) work hard – as the Russian composer Tchaikovsky said, “Inspiration is a guest that does not willingly visit the lazy”; e) don’t give up – if a door is closed, find a window; if a window is locked, take a hammer to the walls (but not really); f) write what you love / love what you write; g) understand rejection as a necessary teacher or tour guide – failure is only really failure if you don’t learn from it. Find out more about Stephanie Simpson McLellan through her official website and through the Book Week website here.